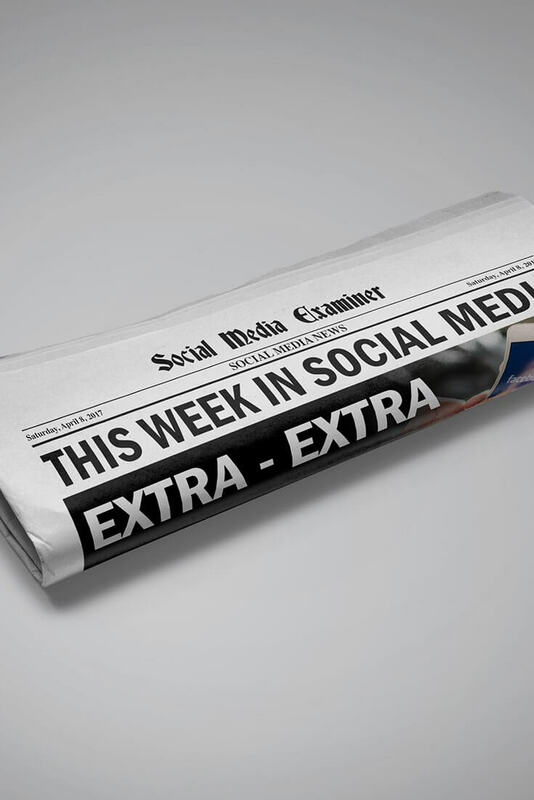 Facebook Tests Native Split-screen, Two-person Live Broadcasts: This week, Social Media Examiner staff reported that Facebook appears to be slowly rolling out native split-screen, two-person broadcasts in Facebook Live. This new feature is currently limited to personal profiles on Facebook’s iOS mobile app for iPhone. It doesn’t seem to be available for Android or desktop and hasn’t been extended to pages. Select users can go live from their personal profiles and then invite one other iOS user to participate in the broadcast as he or she begins watching. 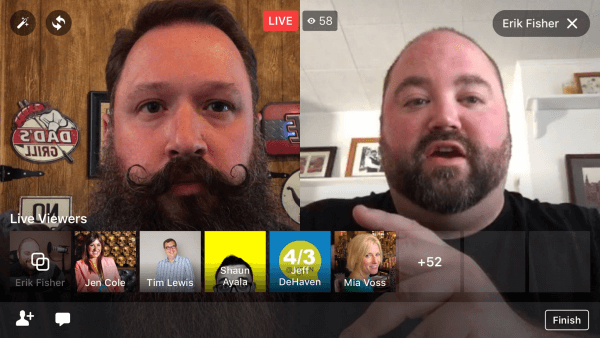 Social Media Examiner tested the native split-screen, two-person broadcasts in Facebook Live. Facebook initially announced two-person remote broadcasts along with other upcoming updates at VidCon 2016; however, the company hasn’t yet released any official news or announcements about this recent rollout. To learn more about this new feature, listen to the Social Media Marketing Talk Show from April 7, 2017. LinkedIn lead gen forms are an easy way to collect quality leads from mobile users. Crowdcast Introduces Multistreams: Crowdcast rolled out Multistreams, a new feature that allows users “to stream their Crowdcast event directly to Facebook Live, Periscope, YouTube Live, and more… and [reach] a much wider audience.” It also offers a “custom output option” for linking other third-party services or platforms not listed in Crowdcast’s Complete Guide to Multistreams. This new feature essentially makes Crowdcast “the command center for your live video events” and allows seamless sharing of your broadcast across the different platforms. 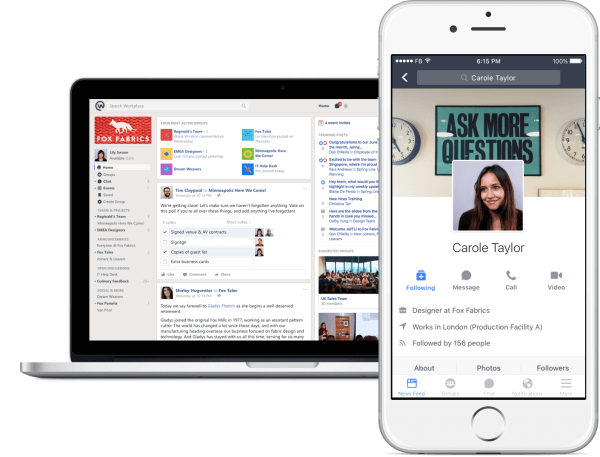 Facebook Tests Free Version of Workplace: CNBC reports “Facebook is introducing a free version of Workplace, its social networking tool for workers to chat and collaborate.” The new product, which is still being tested, will have the same “look and feel… as the paid version” of the tool. However, it won’t offer companies the administrative and analytics tools available to paying subscribers. The free version of Facebook Workplace will be called Workplace Standard and the paid version will be called Workplace Premium. YouTube Removes Ads From Channels With Fewer Than 10K Views: YouTube announced that it will no longer serve ads on YouTube Partner Program videos until the channel reaches 10K lifetime views. The company considers this to be an appropriate threshold “to determine the validity of a channel… [and] confirm if a channel is following [YouTube’s] community guidelines and advertiser policies.” For example, YouTube reports “seeing cases of abuse where great, original content is re-uploaded by others who try to earn revenue from it,” and the new protocol is meant to safeguard original creators against such violations. YouTube assures its users and audience that this threshold will have “minimal impact on [its] aspiring creators… [and] of course, any revenue earned on channels with under 10K views up until [this change] will not be impacted.” YouTube also shared that “in the next few weeks” it will implement a new review process for creators who apply to be in the YouTube Partner Program. In this week’s show from Friday, April 7, 2017, Michael Stelzner and guests discuss the top news in social media. Topics include Facebook Live Split Screen (6:14), updates to Twitter (29:45), and the upcoming free version of Facebook Workplace (39:01). Subscribe to future shows here. YouTube Launches Live TV Service in the U.S.: YouTube released its live TV service, YouTube TV, to five major metropolitan areas in the U.S. These cities include San Francisco, Los Angeles, New York, Chicago, and Philadelphia, “with more U.S. markets coming soon.” For $35 per month, the subscription service provides more than 40 channels including ABC, CBS, NBC, and ESPN; allows simultaneous streaming of different programming to up to six different devices; provides unlimited DVR cloud storage; and more. YouTube is offering a one-month free trial on the YouTube TV site. Viewers can also sign up on the Google Play Store and Apple App Store. Others who aren’t in the initial launch markets can sign up to be notified when YouTube TV will be available in their area. Periscope Pushes Live 360 Broadcasting Capability to All Mobile Users: Periscope announced that now “anyone broadcasting with Periscope for iOS or through Producer can go live in 360.” Periscope notes that an updated version of the iOS app is required to broadcast in 360 and Android users will need to use Periscope Producer. However, anyone can watch a 360 video on iOS, Android, and all web browsers except for Safari. Twitter Rolls Out Twitter Lite: Twitter introduced Twitter Lite, “a new mobile web experience which minimizes data usage, loads quickly on slower connections, is resilient on unreliable mobile networks, and takes up less than 1MB on your device.” Twitter Lite is also “optimized… for speed, with up to 30% faster launch times as well as quicker navigation throughout Twitter.” However, Twitter Lite provides all of Twitter’s key features including “your timeline, Tweets, Direct Messages, trends, profiles, media uploads, notifications, and more.” Twitter Lite is now available globally. Pinterest introduced app shortcuts for Android 7.1 or higher. Facebook Launches Suggestions From M to All U.S. Messenger Users: Facebook announced that M now “offers suggestions to make your Messenger experience more useful, seamless and delightful.” Powered by AI, this new feature follows your chats and surfaces “relevant content and capabilities to enrich the way people communicate and get things done” in Messenger. These suggestions might include offering sticker options, presenting ways to easily request or send payments, sharing a location, coordinating plans, and more. Suggestions from M were initially being tested by a small group of users but Facebook has now expanded them to all iOS and Android users in the U.S. and will eventually roll out to other countries as well. 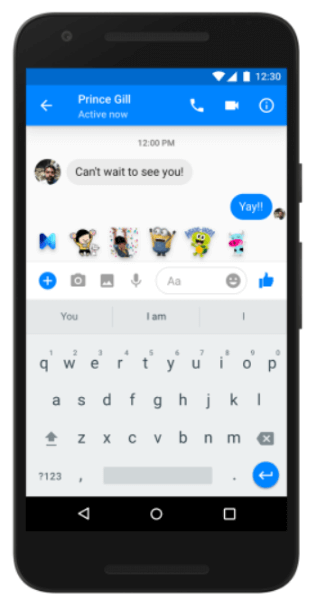 M now offers suggestions to make your Messenger experience more useful, seamless, and delightful. Facebook Adds More Customer Service Tools in Messenger: Facebook Messenger is rolling out “new tools that make it easier to respond to your customers’ questions and provide updates based on actions customers have taken.” These tools include “a new method for developers and businesses to respond to actions their customers have taken beyond the current 24-hour window as stated in the Messenger Policy” using a generic template and approved tag in their response. Facebook cautions that “the use of these tags must be strictly limited to non-promotional content” and provides specific examples of what this entails on the Messenger blog. Feedly Rolls Out Boards, Notes, and Highlights: Feedly rolled out three new features on its content curation platform that are expected “to make your Feedly experience even better” and “make it easier and more meaningful to read in Feedly.” These include team boards, which provide a central location for collaboratively saving and organizing stories and notes, and highlights for marking passages that spark an idea or enrich the saved articles. These new features are available on the Feedly mobile apps and on the web. 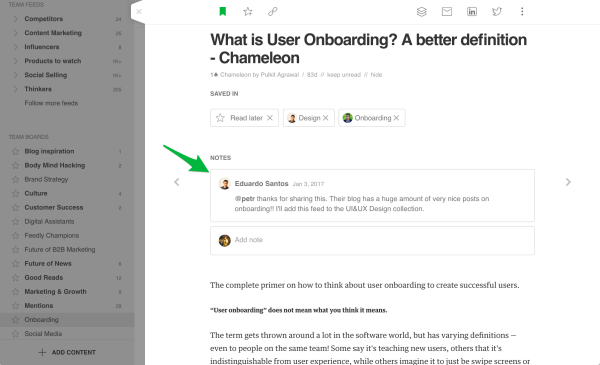 Feedly rolls out new notes that appear at the top of the story where you can edit or add other notes right below it. Instagram Direct Message Allows Photos and Videos Posted From Desktop: Although Instagram still doesn’t allow images or videos to be uploaded to a profile from a computer, the Next Web reports that it has enabled users to “send photo and video as direct messages from [their] desk using the Windows 10 app.” According to Windows Central, the feature allows users to easily attach photos from their hard drive to a direct message by selecting the image icon or snapping a new picture using a webcam and posting it to a direct message. The article also notes that this option is only available in Windows 10 version 10.811.28417.0, which rolled out earlier in March. Twitter Unveils New API Developer Platform: Twitter announced plans to unify its API platform “to make it easier for developers to build new applications that can smoothly scale as they grow.” Twitter is also launching new APIs and endpoints “that enable developers to build on the unique attributes of Twitter to create better experiences for businesses” and shared its newly published public API platform roadmap. Facebook Releases Canvas Creation API: Facebook Marketing Partners announced it’s “opening the capability to create Canvases via the API” to the developer community. Businesses and marketers can create canvases through the Canvas builder or through page and ads creation interfaces. The rollout of the new Canvas Creation API makes it possible for developers to “add value by providing advertisers with solutions across a wide array of use cases whether it’s scaling creation, developing templates, or delivering creative insights.” Facebook provides a webinar and documentation to help developers learn more about this new API. Facebook is opening the capability to create canvases via the API to the developer community. Google Closes Map Maker: Google announced that Google Map Maker officially closed as of March 31, 2017, and “many of its features are being integrated into Google Maps.” Map Maker was an older online tool that allowed anyone to contribute updates to Google Maps such as adding place details and business information, editing roads, and more. These key editing features have already been included in Google Maps and more are expected to be added on “an ongoing basis.” Those interested in continuing to contribute their local knowledge to Google Maps are invited to join Google’s Local Guides program. Twitter’s Direct Message APIs, which now include the ability to request and share locations, are currently in private beta. However, businesses and developers can sign up to access and learn more about this new product. YouTube Beta Tests YouTube Go App in India: YouTube announced that a beta version of YouTube Go is now available in India. This new stand-alone app is specifically designed to work in areas with zero or poor connectivity by giving users more “choice and transparency” over their data usage. 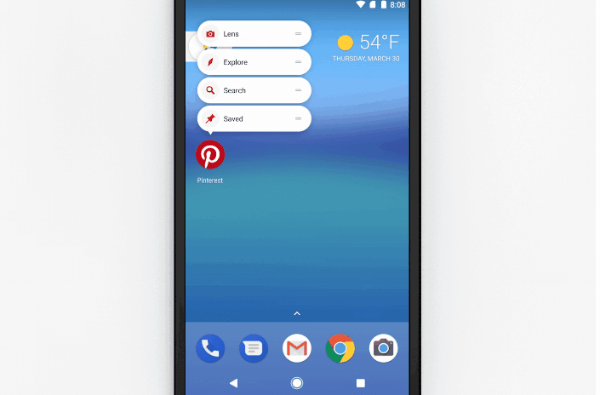 YouTube Go allows viewers to expedite downloads or streaming by opting for a lower resolution, to preview videos before watching by tapping a thumbnail, and to enable nearby friends to share videos without an Internet connection. The beta version of YouTube Go app is available for download on the Google Play Store in India. WhatsApp Speculated to Roll Out Peer-to-peer Payment Services in India: The Next Web reports that WhatsApp has indicated that it may be “preparing to roll out peer-to-peer payment services on its platform in the next six months” in India. In a statement to TechCrunch, a WhatsApp spokesperson confirmed that “India is an important country for WhatsApp” and the company is currently exploring ways to work with local governments, companies, and users in India to give businesses a presence on the messaging platform. The Unbounce Conversion Benchmark Report: Landing page and conversion marketing platform Unbounce released a new report comparing landing page copy, traffic generation strategies, and product offers as they relate to average conversions by industry. 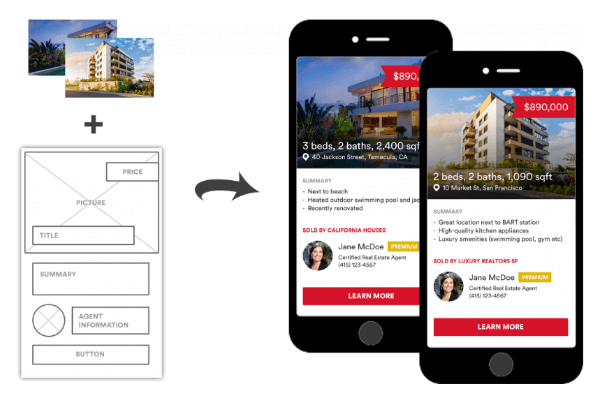 The findings are based on the behavior of nearly 75 million visitors to approximately 64,000 lead generation landing pages. The report also offers expert insights and industry-specific recommendations for marketers. “Who Shared It?”: How Americans Decide What News to Trust on Social Media: According to new research from the Media Insight Project, the perceived credibility of the person sharing social media content weighs more heavily in the minds of readers than the original source or its creators. In other words, if a Facebook friend is thought of as a “completely credible” source, then the news he or she shares, even if from a questionable origin, is more likely to be considered trustworthy. The study findings suggest that content distribution matters just as much as timeliness, accuracy, and quality. The report also emphasizes the importance of building a positive, trust-based relationship and fostering two-way engagement within a community. The SEMPO Annual State of Search Survey 2016: SEMPO’s most recent State of Search Survey Marketing Report provides an in-depth look at search marketing industry trends, strategies, and tactics against previous benchmarks across various channels. The findings reveal that social media marketing is still considered the “largest growth segment,” although tracking its ROI continues to be a top challenge for marketers. More than two-thirds of those surveyed say that they advertise on social media, which is an increase from 57% the previous year. Meanwhile, other channels either remained largely stagnant or showed minor declines. What do you think of the new native split-screen Live broadcasts on Facebook? Have you checked out Multistreams in Crowdcast? Please share your comments below. Facebook Tests Live Split-Screen Broadcasts and other social media news for Apr. 8, 2017.